Knowing how to use a ruler is an important skill in both math and the real world! Follow along with this tutorial to see how to use a ruler to measure an object in millimeters! Rulers help you measure all sorts of things, but you need to learn how to use it first! 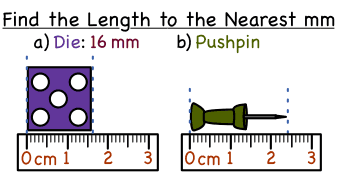 Follow along with this tutorial to see how to use a ruler to measure objects in centimeters.